Nokia Asha 205 is a dual sim phone in 2G network only that means you only have a EDGE or GPRS connectivity on your network provider. 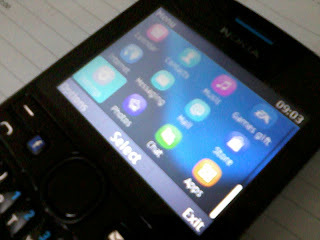 It runs on S40 OS version and uses Nokia Xpress as a default browser in connecting to the internet. Pre loaded with applications and games like Asphalt, Green Farm, Midnight pool and many more. In this post, we are going to setup manual EDGE/GPRS/MMS configuration settings in connecting all your apps to the internet using your Nokia Asha 205. *You can change the data base on your network provider. Leave Authentication, Username, and Password as is if not required on your network. Go Back to 'Configuration settings' you can now see you newly created Access point on 'Preferred access point' after activating. To remove the ‘E’ or ‘G’ icon on your Nokia Asha 205 Home screen just set your ‘Mobile data connection’ to ‘When needed ‘instead of ‘Always online’. This will also save your battery power. There is no edit option on your current and newly created access points, all you need to do is to create a new one instead of editing your existing access points. there is no option of "personal setting" in "setting" in nokia asha 2oo....... plz help me how to open internet?????????????????? there's no option for personal accounts to ACTIVATE that..
i have provlem with my nokia asha 205 .. a preferred data sim is needed to keep app online .. i want to stop it plzz help it comes after every 10 sec ..
whY G sign apears whn i get online? wht is the purpose of it? Nearly gave up trying to install MMS on my Nokia 205 until I read this. Did the trick after my own network couldn't talk me through it - THANK YOU! !